I have another card challenge for you today. I used the November paper pumpkin kit for my first card. 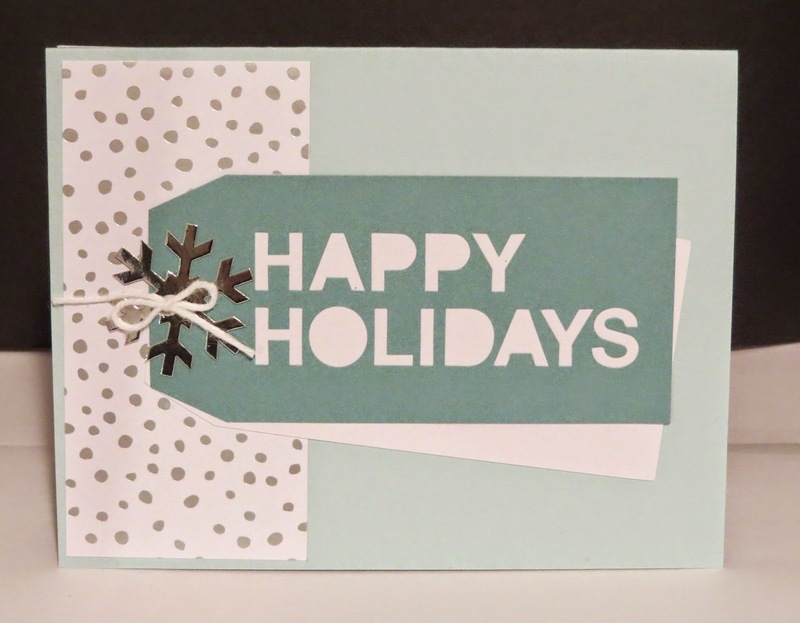 I added a Soft Sky Card Base and some All is Calm Speciality Designer Series Paper which is on the clearance rack right now. The rest of the items are from Paper Pumpkin. The kits are really cute and come in the mail monthly. The cost is $24.95 and makes a great Christmas gift. Post it to karinaskreations facebook page. Here's my sample using the new Balloon Bash stamp set that's available Jan 6th!! 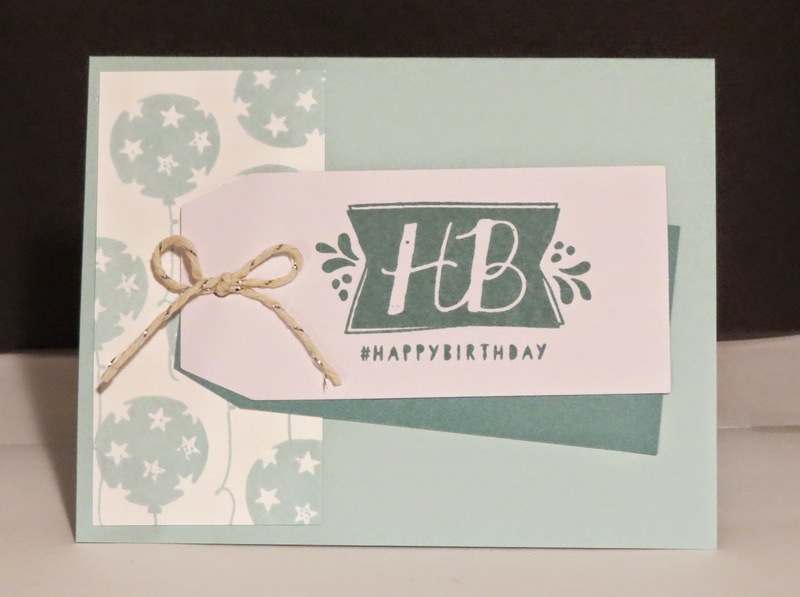 It's a super easy but cute card! Remember that the clearance rack sale is still on. Click here to check it out the sale!